With the many concerts, festivals, and other performances, December is a wonderful month for special events. 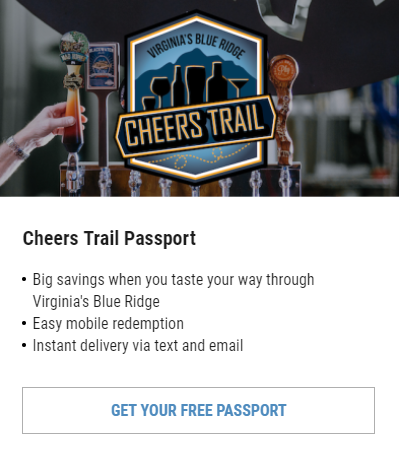 In addition to activities like ice skating in Elmwood Park at Elmwood on Ice or checking out the beautiful trees at Fashions for Evergreens at The Hotel Roanoke & Conference Center, there are many fun things on the calendar to incorporate into your Blue Ridge Day! 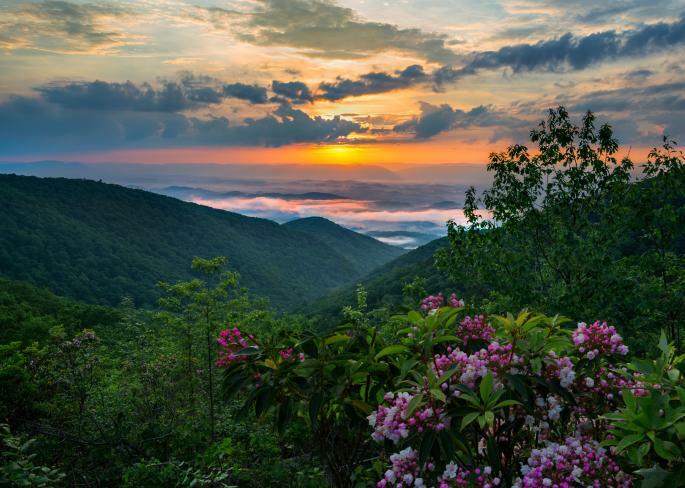 Here are 20 events to check out this month in Virginia’s Blue Ridge. Note - The following is a sampling of holiday events in the region. For a more comprehensive list of holiday-themed fun, don’t miss our guide to 2017 Holiday Events in Virginia’s Blue Ridge. Back for its 35th year, The Roanoke Times Dickens of a Christmas Festival is an iconic event in Virginia’s Blue Ridge. The festival takes place in Downtown Roanoke during the first three Friday evenings of December and includes performances, tree lighting, caroling, shopping, carriage rides, and more. The Booker T. Washington National Monument introduces visitors to an “Old Virginia Christmas” with the experience of what life was like for residents, both free and enslaved, on a 19th-century tobacco plantation that was the birthplace of Booker T. Washington. Culinary art is on full display at the annual Gingerbread Festival in the Salem Public Library. 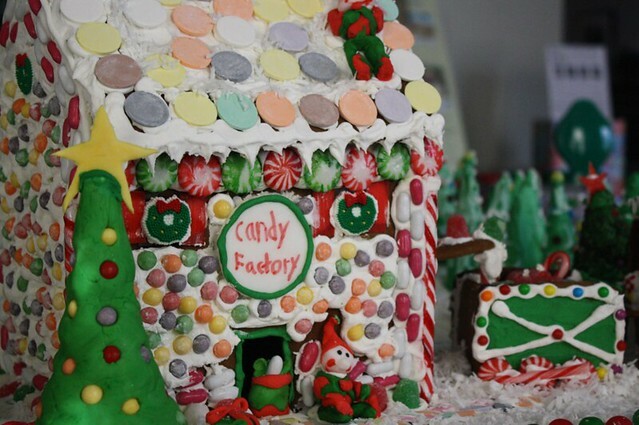 The main feature is the gingerbread house competition, but there are also kid-friendly crafts activities, marshmallow roasting, food vendors and more. The Starr Hill Pilot Brewery & Side Stage is one of multiple new spots to enjoy great craft beer in Virginia’s Blue Ridge, and they also plan to regularly feature live music. On December 2, there will be a free concert by Tara Dente, a folk/alternative guitarist and singer/songwriter from New Jersey. Hop aboard the Candy Cane Express at the Virginia Museum of Transportation! The two-day event will have photo opportunities with Santa, face painting, scavenger hunts, train rides, and all the great exhibits at the museum. This holiday home tour is a great way to see and learn about the architecture in many of the historic homes in Roanoke’s Old Southwest Neighborhood. 7 historic properties are decorated for the holidays and showcased in this walking tour. Of course we incorporate biking into the holiday fun in Virginia’s Blue Ridge! RIDE Solutions hosts the Roanoke Holiday Lights Tour as a way for people to join together with a bike ride through the city to take in some of the local holiday decorations and lights. There’s even a Zagster bike share station near the start & finish point of the ride, offering a great option for anyone who doesn’t own their own bike. Nothing will stop Ralphie Parker from his dream of owning a Red Ryder BB Gun, even if it means he’ll shoot his eye out! “A Christmas Story” is a classic Christmas movie that has become a holiday tradition for many, and this year Mill Mountain Theatre presents the theatrical production of the story. 10. Roanoke Symphony Orchestra: Holiday Pops! Sing along to all your holiday favorites and learn a few new ones at the annual Holiday Pops performance by the Roanoke Symphony Orchestra. The group performs at the Salem Civic Center on December 8 and at the Moss Arts Center at Virginia Tech on December 9. There are over two centuries of history in the Town of Fincastle in Botetourt County, with some homes dating back to construction in the 1770s. The town’s historic district has over 100 buildings and the annual holiday home tour is a wonderful way to take in the history of the community while also supporting the local businesses. 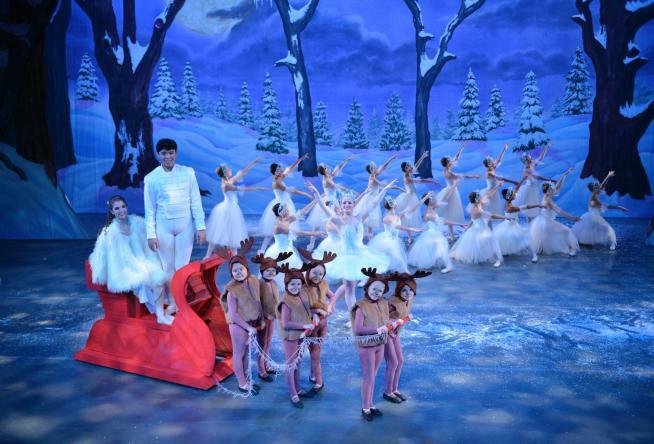 The Southwest Virginia Ballet has entertained locals and visitors for years with its annual presentation of The Nutcracker. You’ll be lead on a journey of sugar plum fairies and the Land of Sweets for one magical night in this show that is made up of performers from over 15 dance schools throughout the region. Things are heating up on the Berglund Center ice with the Roanoke Rail Yard Dawgs! The Dawgs have multiple home games this month, including a New Year’s Eve contest against Knoxville at 6:05 p.m. - a perfect way to begin your evening before you ring in the arrival of 2018. It’s an old-fashioned Christmas in Downtown Salem at the Ye Olde Salem Christmas celebration. There will be festive decorations, baked goods, various art & craft vendors, and a merchant open house for all kinds of holiday shopping. 15. Ring in the Season! Ladies A Capella Barbershop! The Star City Sounds Chorus presents a night of holiday a capella music at the Showtimers Community Theatre! Get your tickets now to make sure you don’t miss this opportunity to listen to the music of the season. Put on your tackiest Christmas sweater and get ready to deck the halls at Big Lick Brewing Company’s Ugly Sweater Holiday Party. There will be costume contests, live music, food by 2Dye4Que and great beer on tap, all at Big Lick’s beautiful new facility. 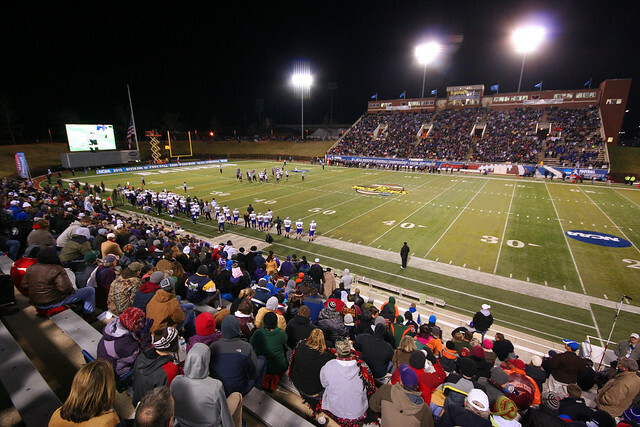 The NCAA Division III Football Championship returns to Salem Stadium in Virginia’s Blue Ridge with the 2017 Amos Alonzo Stagg Bowl. A champion will be crowned in what should be a fantastic atmosphere for this nationally televised game. The Herdman kids ruin everything. What will happen when they take part in the church Christmas pageant? Find out as the Roanoke Children’s Theatre presents The Best Christmas Pageant Ever: The Musical, a family-friendly show full of laughs, shenanigans, and holiday spirit. There’s something magical about the Christmas glow of the Town of Buchanan with its annual Christmas Eve Luminary Display. Hundreds of candles are lined up along the historic town’s streets in this charming holiday display. The Big Lick Downtown Countdown New Year’s Eve festival returns to Downtown Roanoke for its 5th year! We’ll celebrate with live music, food and drinks, and a family-friendly party to end 2017 in style. Get your tickets now as this event sells out every year. 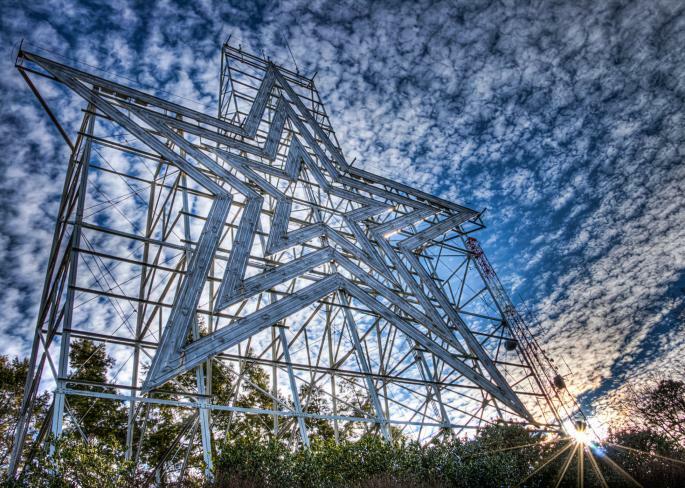 Visit our Calendar of Events for a complete list of what’s going on in Virginia’s Blue Ridge. You can also check out our Holidays section for more ideas of things to do during the holiday season. Subscribe to get information about upcoming events and special features.